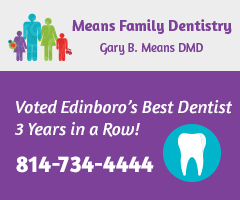 A sloppy start, two early fumbles and consistent rain, plagued Edinboro football early, but they managed to hold on for a 14-7 win at Clarion University Saturday. The Fighting Scots women’s volleyball team returned home on Friday night to face off against East Stroudsburg in an aggressive five-set game in which the Warriors would end up victorious. Edinboro came alive in the late innings and rallied back from an 8-1 deficit in the bottom of the seventh, earning their first PSAC West victory of the season in a game against Slippery Rock University on Sunday at home. Edinboro’s men’s and women’s track and field teams earned 15 PSAC-qualifying marks and set a number of personal records Saturday when they split up to attend the Bison Outdoor Classic at Bucknell University and the Westminster Invitational at Westminster College. 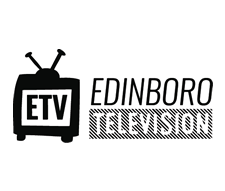 If Edinboro’s women’s softball team gets to play their scheduled doubleheaders Friday and Saturday, it will be the first time they take the field in two weeks. In just a few months, the Edinboro women’s track team — led by a slate of younger athletes and guided by a few veterans — has seen several records broken and set themselves up for national competition. 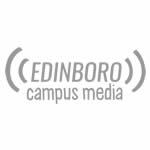 The Edinboro women’s basketball team secured their spot in the Pennsylvania State Athletic Conference playoffs with a 79-66 win over California University of Pennsylvania. Coming into the game as the underdogs, the Fighting Scots topped the Mercyhurst Lakers by a score of 28-25.